Sylvie answers questions from members of the One Truth forum. 2:45: What inspired the name of your channel, "New Earth"? 3:50: Can you give a brief summary of the historical "big picture" as you currently see it, before we get into more specific information? 5:20: What's the difference between Atlantis, Hyperborea, and Lemuria, and how exactly do these civilizations or culturse relate to the survivors? 13:00: "Will she be making a video letting us see the outcome of her remote viewing experiment?" 16:00: Do you think that this ancient civilization is the culture that linguists and archaeologists are looking for as the "Indo-European" culture? 19:40 : Have you ever come across any relation between the ancient Dacian people and the Dutch and Deutsch, aka Germans? 21:00: Can you describe the Jesuit role in the creation of the conventional or Scaligean narrative of history that is used today? 24:20: The conventional chronology is said to have been created around the time period we know as the 1500's into the 1600's, which coincides exactly with the Protestant Reformation. Can you describe the real significance of what is called the Protestant Reformation? 25:45: Could you describe your religious or spiritual beliefs and how you may or may not reconcile these to a historical Jesus figure? 29:00: Have you looked into histories of non-western regions, such as Chinese, Indian or African history to see how the traditional history remembered in these kinds of places lines up with the New Chronology, or if there's any evidence that the history of these nations has been manipulated as well? 29:50: Does she [Sylvie] know anything about "The Bock Saga"? 30:10: What's the impetus that made her start such a huge project and was she alone, if with others how did it all start? 36:45: How are the documentaries made and how long does it take to make one? 38:45: What's the best part of the next thing she'll be doing? 39:10: What was the toughest ordeal she had to face? 40:40: What does she do when not working on the documentaries? 42:00: What cheers her up? 43:10: How did she get in touch with the Russian team? 43:40: "I have a sneaking feeling that 'Anastasia' from Vladimir Megre's books is a survivor who doesn't need to wake up, and that there are others, like her living in seclusion in remote places. What does she [Sylvie] think about that?" 44:50: "In New Zealand we have the Waitaha people's, with memory of the before times, Mu as such and the harmony and at one with all, as we return slowly to the before times again, how much do you see these and other peoples holding the soul lineage going about things/life/changes etc ?" 47:00: "To Sylvie, will she be making a documentry bringing all her research together and forming a conclusion?" 47:25: "Sylvie, in Episode 30 at about 35m 15s you touch on the defeat of Pogachov in 1775 being the year the Empire of Tartaria also ended, that event was quickly followed by a July 4 1776 Declaration of Independence of British colonies in North America." "The presentation gives rise to speculation that the two historic occurrences are related in at least two ways: 1) that the forces fighting Tartaria had been executing a sort of global plan and are behind British colonial organization as a part of their overall objectives. 2) that the influence of Tartaria was widespread enough to be of consequence in the British colonies and that Tartaria had to be conquered before colonial interests could be further pursued." "In your research, do you have further evidence or comments about either of the two points above?" "I'm especially interested in evidence that may elaborate how the two occurrences relate." 50:45: "Has Sylvie looked at languages in her studies? Culture and history are contained in languages. Can she trace the survivors through language?" Thanks for your participation, guys. You got some great info out of Sylvie. The reply she gave suggests that even today, the forces in play during the late 1700 are active, alive and well. Indeed there is absolutely no mercy or respect shown for historic materials. Last edited by lcam88, 3rd December 2015 at 20:29. Thankyou, well interviewed. Huge thanks for your efforts also dear one. Did you see the picture of Sylvie and her cat, Elen? So she disabled comments on her videos, not because of any controversy over the information, but because someone told her to lock her cat up. Excellent presentation and video bsbray, thank you for your work and effort to put this together. Thank you to Sylvie for taking the time to give us answers to our questions. Last edited by Frances, 4th December 2015 at 02:56. I relate to Sylvie so much and want to thank her for sticking with the huge problems she had with her computer when she started, so that she could make her videos. Thanks for the interview everyone involved, and looking forward to more in the future. 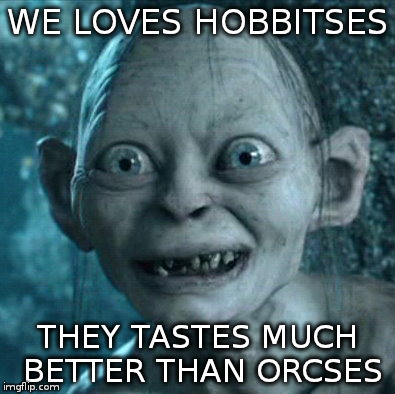 We really love hearing from you, Shire Dweller. Good job BSRay. It was well done and a pleasure to view as well with some of the evocative artwork Sylvie uses in her videos. They are quite powerful and altered state inducing. Interesting for anyone, I hope, but especially for the ones following the unfolding of this material. A material that is fresh in the making. Aragorn, I'm laughing because that picture has so much significance to me and a long and quite mad story. Life is very peculiar, sometimes in a good way and sometimes ... not so much. Gotta keep laughing and learning! 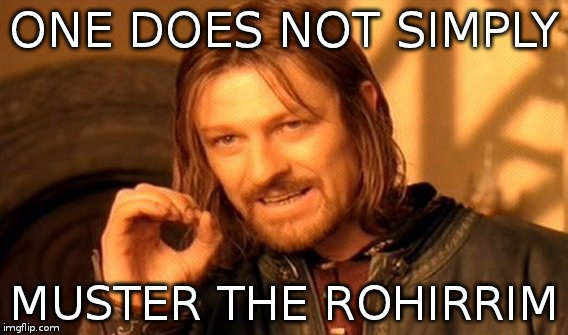 When myself and my daughter have a challenge ahead, we like to say, "Muster the Rohirrim!" It's quite bonkers 'round here. I have been thinking about the way that Sylvie answered the questions. I see that she has a perspective that I share. I like it that she is focused on the "Survivors" who had the same cultural root (Rot?) but were not only in Northern "Russia". I just love Sylvie with such warm affection. The wealth of information she brought to my awareness about Hyperborea, the Russian region and many other bits is awe inspiring. I am so excited that BsBray is connecting us!! I am curious about the idea that we have a hard time with dating EXCEPT I do have faith in geologic perspectives. Then there is astronomy that the ancients used. It struck me that she thinks that Jesus is a historic figure. This is something that I am interested in because I suspect that "He" is a stand in for the Survivor's with abilities that many had lost. I wonder if the sayings attributed to him are possibly related to core Survivor teachings. They are quite unique. "All this and more you can do also". I feel also that we are limited by our awareness. Learning of our real history and also investigating and deepening our own awareness is opening up IMO because we are opening. I love thinking about how we are all contributing to the evolution that IMO is what we experience at all times. I wonder about the role of epigenetics in "evolution". This is the study of how our interaction with the environmenty switches genes on and off very rapidly shifting the way the body functions...not even taking many generations. GH mentions Darwinian kind of evolution where we are said to have decended from a shrew. I don't think we did. I think we all on earth have family lines, and perhaps all beings expressed genes that all arrived in star DNA dust. IMO there is a mysterious "personness" in this DNA consciousness, that we always are "ourselves". And "cats" are personages as well as fungi. We relate more to cats as people. I see the grand evolution more as this tendency for matter to be "alive" and changing according to conditions. We inhabit matter as individual expressions that follow Universal "Human like" patterns. We are on earth as the ones who experience being human with a human personality. IMO Seth is a very valuable observer of the earth and human beings. "The personality can dwell, and does dwell, in many worlds at once." "That which appears empty, such as your space, is empty only for those who do not perceive, who are blind because they fear to perceive that which the ego cannot understand. The ego, however, is also capable of greater knowledge and potentiality and scope. It dwells in the physical universe, but it can indeed also perceive and appreciate other realities. The ego is part of the personality and as such it can partake of sturdier, heartier, more vivid realities. The personality can dwell and does dwell in many worlds at once. That is a question I have about remote viewing and channeling...what about the imprint of personality on information. This post has a lot of "I's" showing that it is coming from "my" human personality hehe! Seriously, I think there is a sense of self that is beyond the ego that is "I am". It is necessary that we allow that "spark" of I am (s us) to be openly expressive as a tool. This is to say that I think our "I amness" becomes the tool that can delve deep and wide to understand. But the bottom line may be that we each will perceive based on our own human observation point of awareness. Many here may have taken the time to listen to this long interview with Randall Carlson and Graham Hancock. I think it is very interesting. He mentions earth's ongoing travel twice a year through the TAURID meteors cloud. He suggested they were involved with the catyclysm that was the ELE event destroying the global civilization. Last edited by Maggie, 6th December 2015 at 07:44.